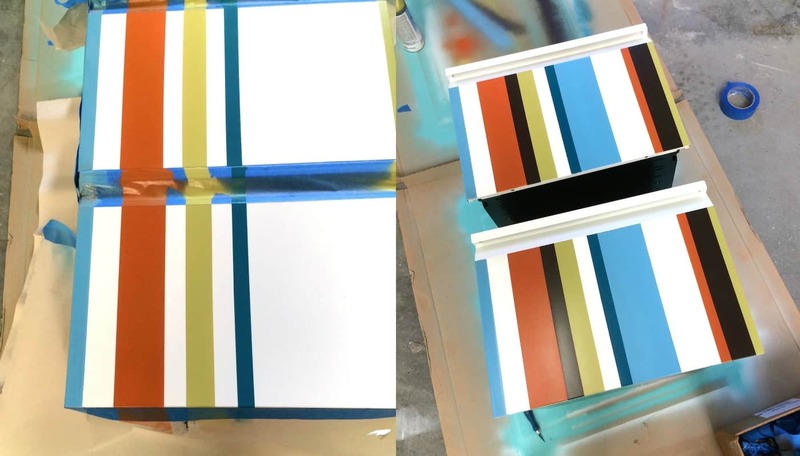 In this easy DIY file cabinet revamp, we took a thrift store find and made it over with existing spray paint. The whole project cost less than $10! I have thoughts about thrift stores. Instead of being called “thrift stores,” they should be called “filing cabinet graveyards.” Because EVERY single time I visit a thrift store . . . I see one. Or 10. And of course, on my last visit, I saw a bunch. This time I looked at the file cabinets with different eyes, however, as I wanted to purchase one. 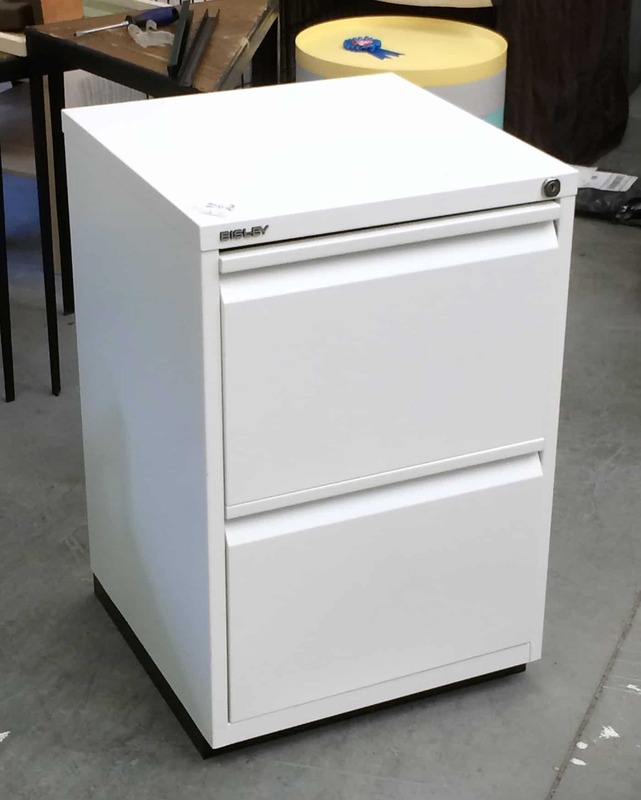 Did you know that filing cabinets can be almost $100 brand new?? And if you add wheels . . . forget it . . . I’ve seen them over $200. I knew I could revamp a DIY file cabinet myself. I quickly accessed the data bank of craft supplies in my brain and realized I had a ton of spray paint colors I could use. With the wood I bought and screws, you can spend less than $10 on this revamp! NOW – I also bought four $3 casters which increased the price by about $13 after tax. But this is totally optional. I’m going to show you how to install them and let you decide. 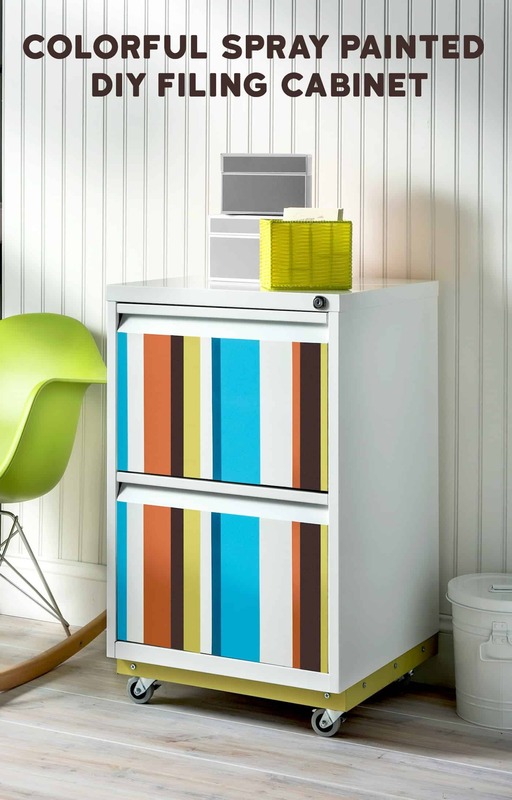 Here’s how I revamped this lovely filing cabinet! Your first step will be to clean the cabinet if it needs it. I recommend it just because it’s been handled a lot. We used soap and water plus goo gone. The sticker on the front was easily removable and the residue removed. 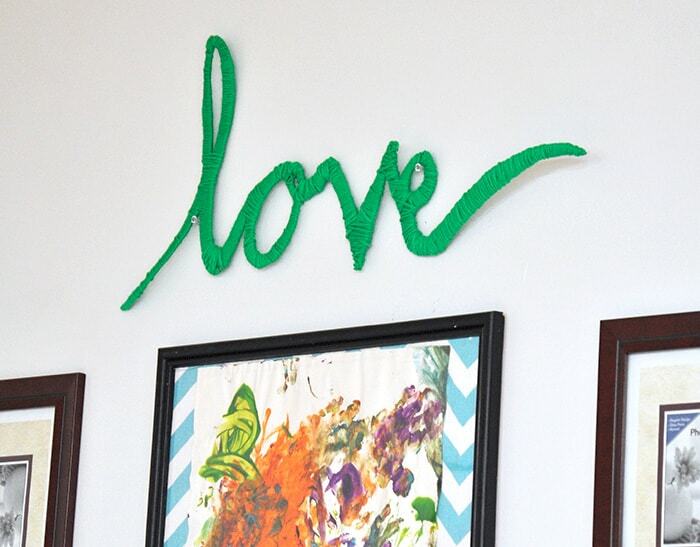 Remove the drawers and use the painter’s tape to section off the area you’re going to paint. Then tape off a stripe on the far left. Use your ruler to make sure that the painter’s tape is even and that it is the same on the bottom and top drawer. Smooth the tape down thoroughly. 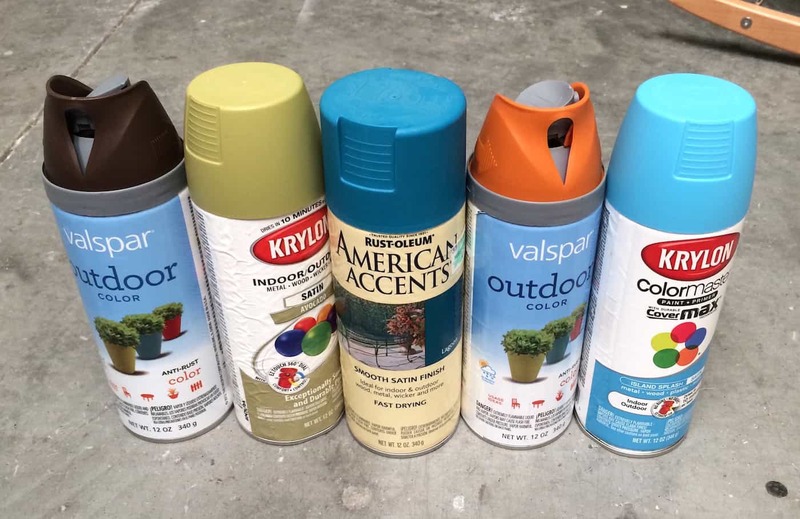 Now raid your spray paint collection. I’m a firm believer in using what I have first, and I had some colors I liked that worked together. Note on painting stripes: we painted them randomly, and with random widths. It’s really easy to spray paint the drawers. 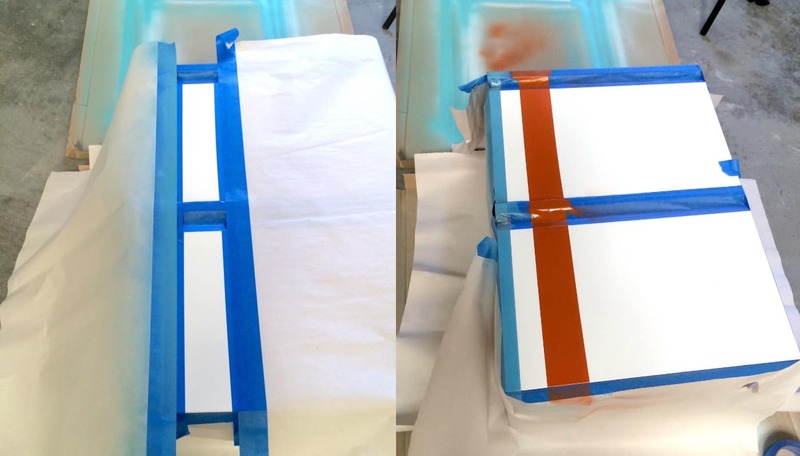 Use the butcher paper to help you out. Single out each area that you are going to spray as shown above. Now, it’s going to take you some time to do the stripes, just because of the drying. So paint a stripe, let it dry for a few hours, then come back and do another one. 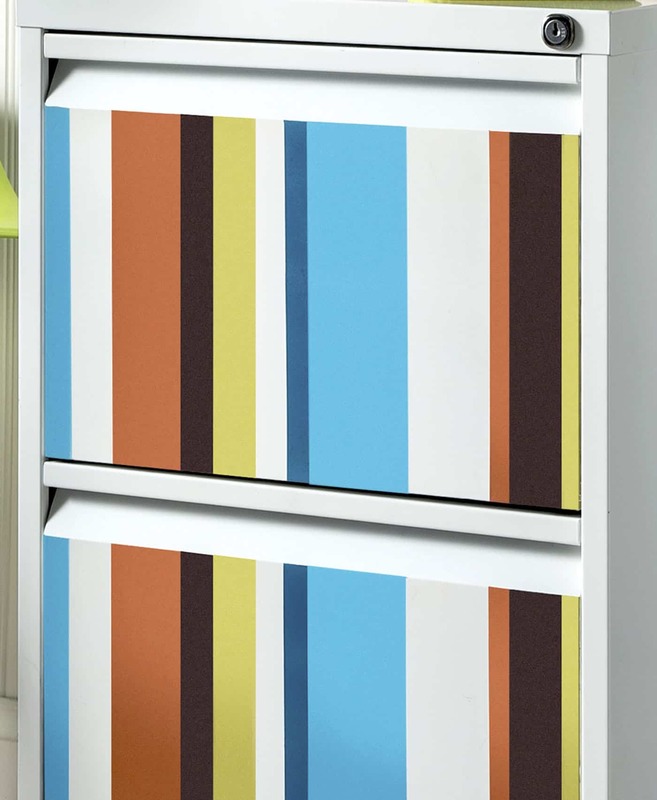 Work your way across the front of the cabinet . . then come back and fill in additional stripes if you like. As I said before – the whole process was very random. We used the white spray paint/primer on the base. Unscrew , prime, paint. If this is as far as you want to go, attach the base back when it’s dry. However, if you want to add wheels, keep reading! Measure carefully inside the base of your filing cabinet. We cut the 3 x 3 to exactly fit inside along two edges of the base – this is to add support. Drill into the sides of the base/wood and add the screws. We secured the wood pieces with three screws down the long side and one at each end. Attach the casters to the wood with more wood screws. We should have used flat head screws. But we had these slightly tapered ones on hand, so that’s what we used. Looking back we should have probably waited to paint the base until we added the wood and the screws – so that the screws would be the same color as the base! Lesson learned. Our DIY file cabinet revamp was VERY easy to do – and not only am I thrilled with the outcome, I’m thrilled with the price! 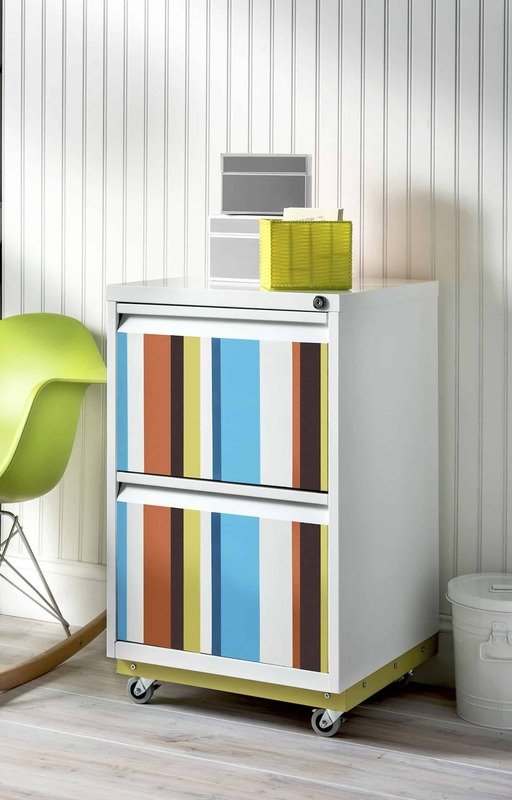 Are you inspired to complete a DIY file cabinet project of your very own? 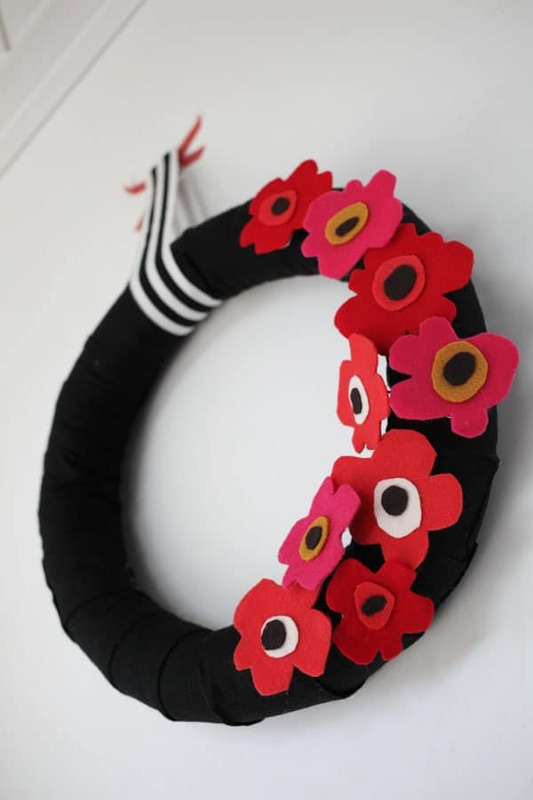 This looks fab. I love the idea of adding wheels. How did you get the drawers out? Hi Claire! Thank you! 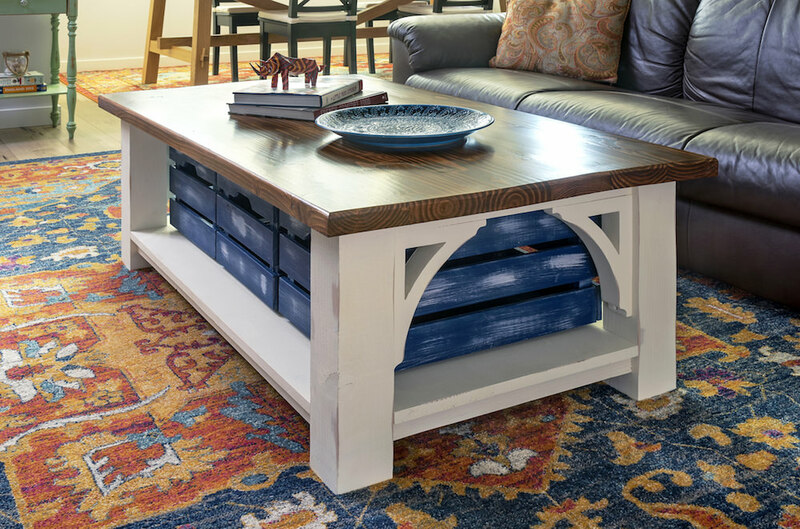 There are typically two ways – 1) there are latches in the back that you unhook the drawers or 2) you bring the drawers out as far as they can go and then lift them over the track thingy. Ours was #2. Each filing cabinet is different but it’s probably one of those two!